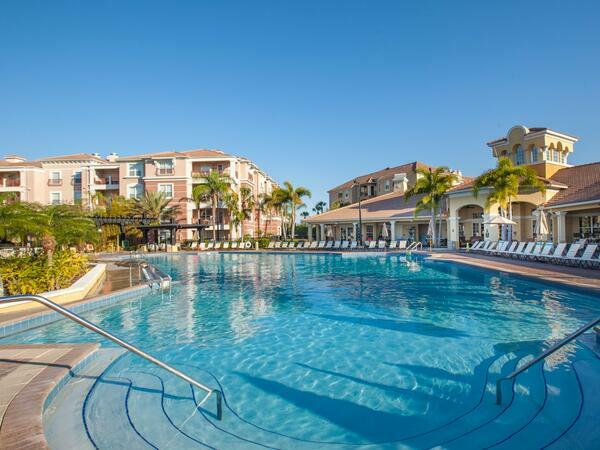 Few resorts in Orlando, Florida put you in the heart of the action – from theme park thrills to world-class dining, shopping and recreation – like Vista Cay Resort by Millenium. Take AIRPORT BLVD W / AIRPORT BLVD to EXIT 1B SR-528-TOLL W.
Merge onto FL-528 West (Portions toll) and travel approximately 8.4 miles. Take the UNIVERSAL BLVD - EXIT 2. Turn RIGHT onto UNIVERSAL BLVD. Drive for approximately .02 miles. Turn LEFT into Lake Cay Place. The CLUB HOUSE is located at the entrance of the resort. Start out going EAST on RED CLEVELAND BLVD toward E. AIRPORT BLVD. Turn RIGHT onto E. AIRPORT BLVD. Merge onto FL-417 S / CENTRAL FLORIDA GREENWAY via the ramp on the LEFT (Portions toll). Take the SR-528-TOLL W / BEE LINE exit- EXIT 26- toward INT'L AIRPORT. Merge onto FL-528 West (Portions toll). Take the UNIVERSAL BLVD. exit - EXIT 2 - toward (Universal Blvd Orangewood Blvd). If you’re coming from Interstate 4 East or West, you must exit on the 528, which is Exit 72. Take the UNIVERSAL BLVD exit - EXIT 2 - toward Universal Blvd Orangewood Blvd. Turn LEFT onto UNIVERSAL BLVD. Drive for about .02 miles. Take the UNIVERSAL BLVD exit - EXIT 2 - towards (Universal Blvd Orangewood Blvd). Parking Spaces: A5-A6, A28-A29, B4-B5, B32-B33. Located on the A-side of the Main Terminal, on the Ground Transportation Level (Level 1), at Commercial Lane spaces A31-A34. Travel time to downtown is approximately 20 minutes from Vista Cay Resort, at a cost of .50. Additional connecting service to shopping and residential areas is also available. Please see the Lynx web site for more details, including the complete schedule. Take the Lynx bus service (11 or 51) to the LYNX Central Station in Downtown Orlando, then connect to Lynx bus service 25 to 3000 Old Winter Garden Road, the closest stop to the Greyhound bus station (approximately one-fourth mile). It’s a fun way to get around International Drive.